Basecamp is online project and time management tool that eases your burden of handling the projects by collaborating them with rest of your team. You can manage projects, teams, and your schedules using this tool. 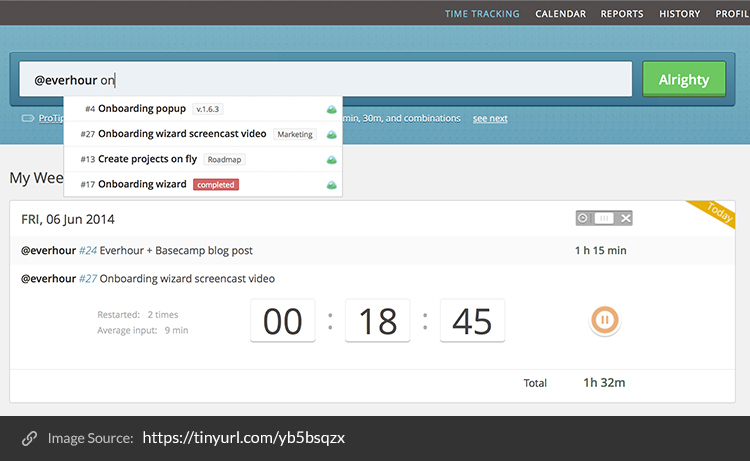 With Basecamp time tracking you can keep all your project-related conversations in one place. It also allows you to share images. This makes it easier for the whole team to remain on the same page via their communication thread feature. Now, there’s Basecamp 3 in the market. With Basecamp 3 time tracking, there are various integrations with lots of time management apps as the native app does not have this feature. So, along with the project management, Basecamp allows you to track time by integrating with various work timer applications in the market. The first one on the list is Minterapp. It allows you to track the project time, employee time, and manage your invoices with ease. It is all in one tool that serves helpful features. You simply need to link your projects to Minterapp with a few quick clicks. Then start using the MinterApp Chrome extension to track easily while you are working on your to-do items. The Chrome Extension will automatically grab the title/description of the To-Do and associate it with the project you are in. That’s it, Minterapp is all set for you to track employee time with Basecamp. At the end of the project, week or month, you can view detailed reports through the MinterApp admin section. If you are invoicing your clients on the hours tracked, it can be received through Paypal, Stripe, or Authorize.net. Paydirt is designed for tracking time and invoicing. You can also track hours in Basecamp no matter what your team size is. It’s so easy with this app as you can import your Basecamp projects and to-do’s into it or you can also use Chrome Browser to log time directly from your Basecamp project page. This integration will allow you to track time within Basecamp. You get two choices, you can either log time manually or you can start the timer feature. Now with these logged hours, it becomes easy to generate an invoice. Toggl has simple features. You can use Toggl on its own website. If you have clients for Windows, Mac or Linux you can run it on PC or embed the Toggl code on your company’s intranet. Once it is set, you start tracking time at ease. 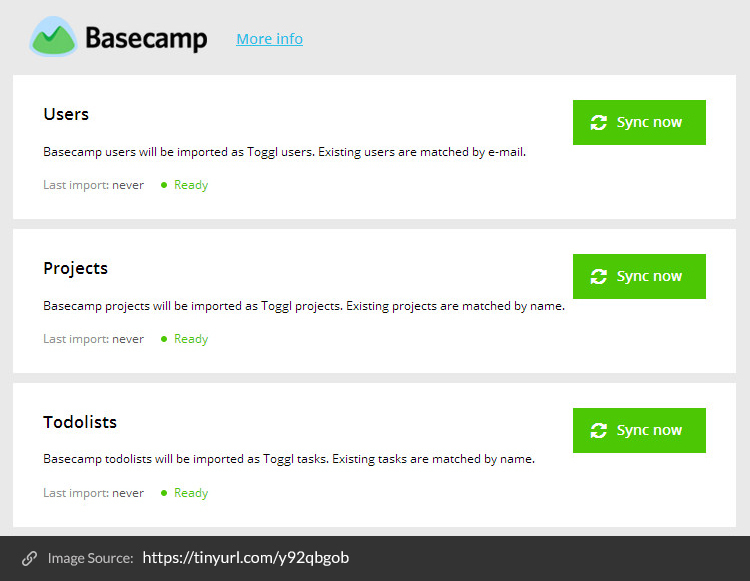 You can import users, to-do lists, and projects from Basecamp. With this, you can generate task stats to see how much time you spend on the tasks. In the end, you can filter the projects by the client or specific tag. 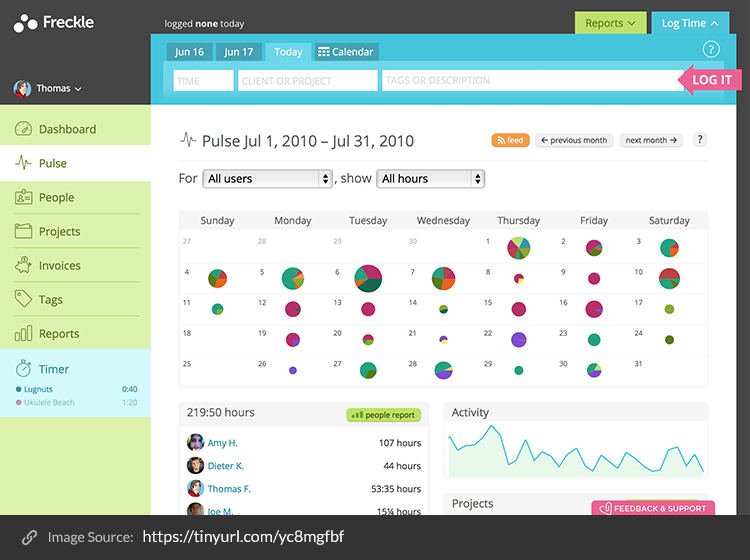 Freckle is a web-based flexible and user-friendly time tracker. To track your project time from Basecamp, you need to connect your Freckle account and allow the app to access Basecamp. If you have more than one Basecamp account, Freckle will let you choose any one of them. Syncing for all the projects will happen automatically. For those projects that are archived, they will appear as archived in Freckle. It supports unlimited projects, multiple currencies for invoicing, hourly backups, and lot more. Worksnaps app integrates with Basecamp to provide the feature of efficient time tracking. It has the extra facility of tracking with proof of work by taking screenshots of the users’ computer screen, Keyboard/mouse activity, and it can also take pictures of the user with their computer webcam. You need to enter your credentials for Basecamp and Worksnaps will get information for all your projects and to-dos from Basecamp. It also allows you to show your team’s work to your client by attaching work snaps link in the time entry. Time Doctor can integrate with Basecamp to track time and keep a record of the activities on various projects and tasks. In addition to track time, Time Doctor provides web and application monitoring, screenshot recording, payroll solutions, and detailed reports for you. You simply need to install the Time Doctor App to get the benefits of integration. They have two versions, Time Doctor Lite or you can have the Time Doctor Pro and link to your Basecamp account. Once it’s done, the interface will display a list of Basecamp tasks assigned to a user. You just need to select the Basecamp project and date range, that’s it. Time Doctor will generate the report for you. Tick makes time tracking easy for Basecamp 3 and Basecamp Classic. Once you set up the software, it allows you to import or update all the information that you have manually selected during the syncing process. Definitely, it also has the functionality to direct it to transfer everything in your account like all projects, people, and tasks from Basecamp. This allows you to review the project budget, get the feedback from your timecard, keep an eye on the time logged by the team member, and integrate to-dos with Tick tasks. You can combine and extract reports by person and know from a higher level about what your team is up to. With Everhour, it is easy to track time and analyze Basecamp to-dos. For syncing the projects, you need to select add/edit project from Everhour profile page. Once you do that, you need to click on ‘Connect on Basecamp’. This will allow you to connect any one of your Basecamp accounts. It has the functionality to organize your time entry with tags. You can create it with hashtags. This app supports keyboard shortcuts for better efficiency. Timers can start automatically or manually for each time. 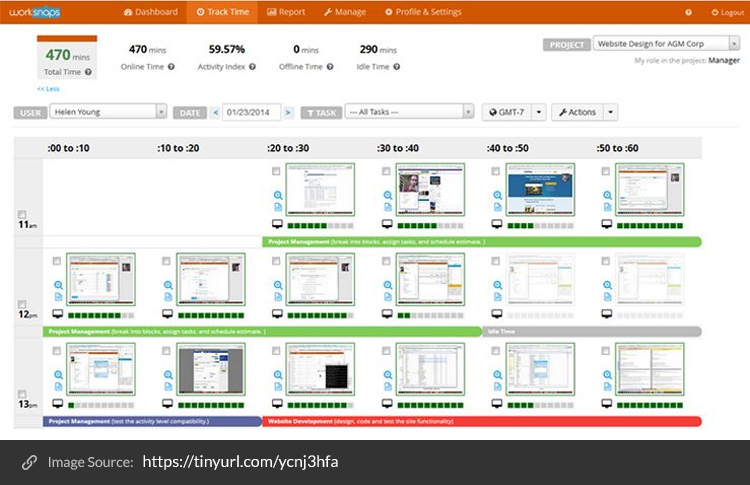 It extracts detailed time reports by filtering tags or team members. If you visit comprehensive reports, it will give you an overview of where things stand on your project, dashboard to view extra Basecamp stats including work distribution in the team etc. Would you like to know other updates for Time Tracking? We’ve created the whole list of Time Tracking apps that integrate with Basecamp to track the time so you can compare and see which one is worth the value. Hope this turns out to be an awesome source of information for you. Well, if we’ve missed any, please share the Time Tracking Apps in the comment section below. Let’s turn this out into a healthy discussion soon and share which one is your favorite! Avni loves talking about Project Management and Time Tracking. She is crazy about work and time statics. This helps her in keeping good pace with the latest updates on various online tools to manage manpower, time and projects. She has impressive ideas about the product enhancement as she constantly keeps eagles eye on what's new in the market.